Limited edition (of 275) Sucker Punch WWI German Zombie Statue from Zack Snyder’s Sucker Punch. 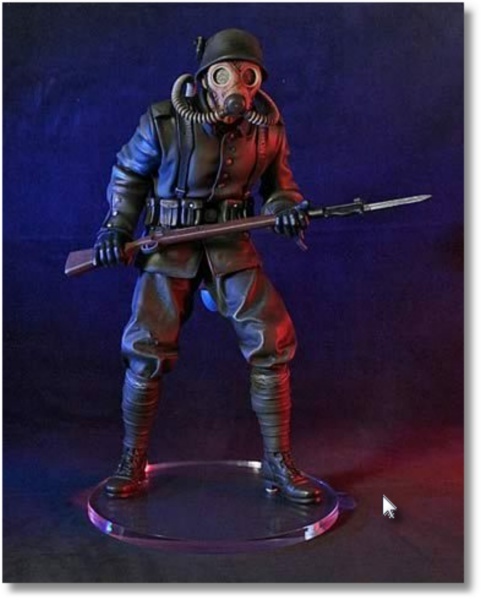 Sculpted with precision details and hand painted by professional artisans, this expertly crafted Sucker Punch WWI German Zombie Statue stands almost 17-inches tall and features a film-accurate helmet and gas mask, bayonet-mounted rifle, wire-mesh eyes, weathered costuming, and accessories. The statue is a limited edition with certificate of authenticity and has already sold out in pre-orders, but for a short time can still be purchased on Ebay from a very few select sellers. Limited to 275 pieces worlwide.